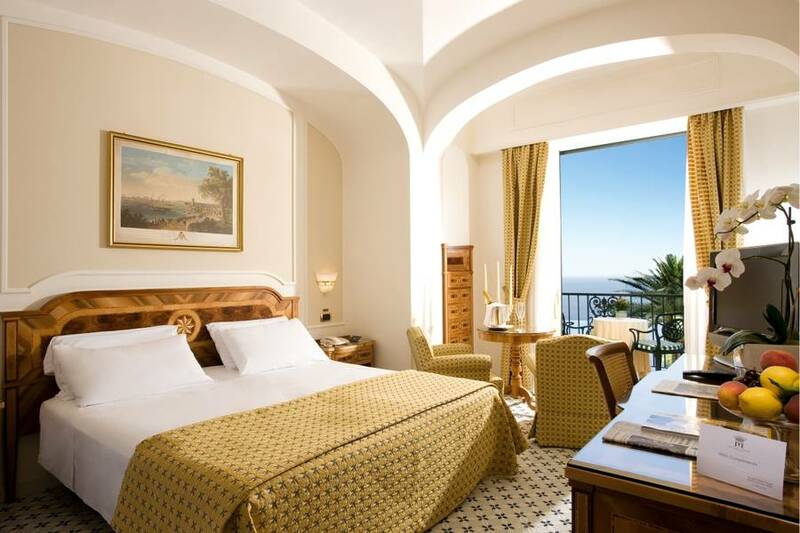 The Grand Hotel Royal enjoys a superb position in the heart of Sorrento, on a cliff overlooking the Gulf of Naples and the imposing form of Mount Vesuvius. 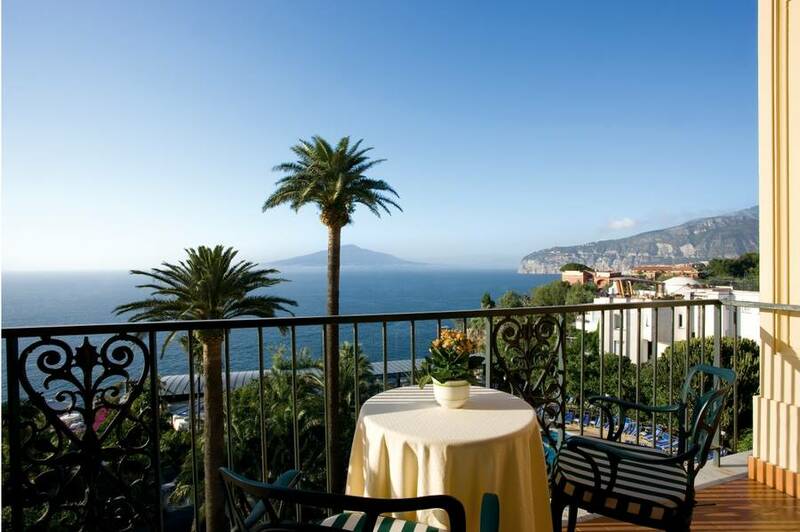 From the balconies of the light-filled guest bedrooms and suites a spectacular view of the sea or the hotel's sweet smelling gardens can be enjoyed. 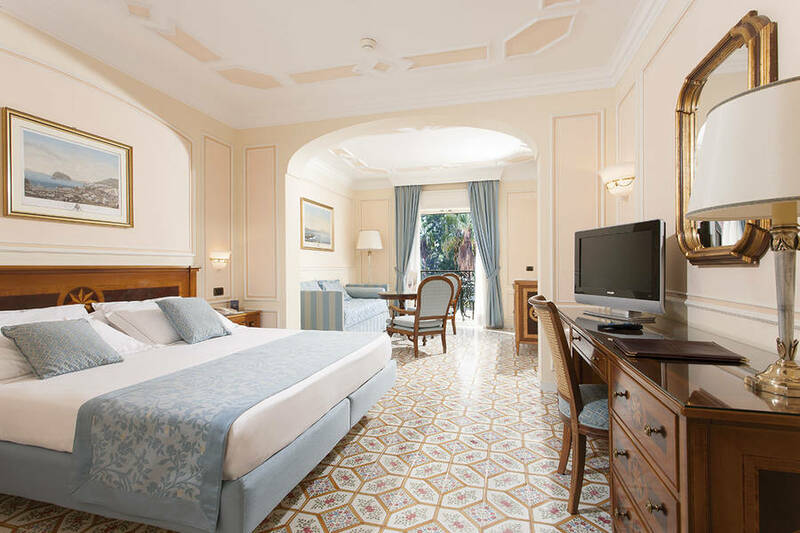 The recently refurbished interiors offer the utmost in comfort and elegance. 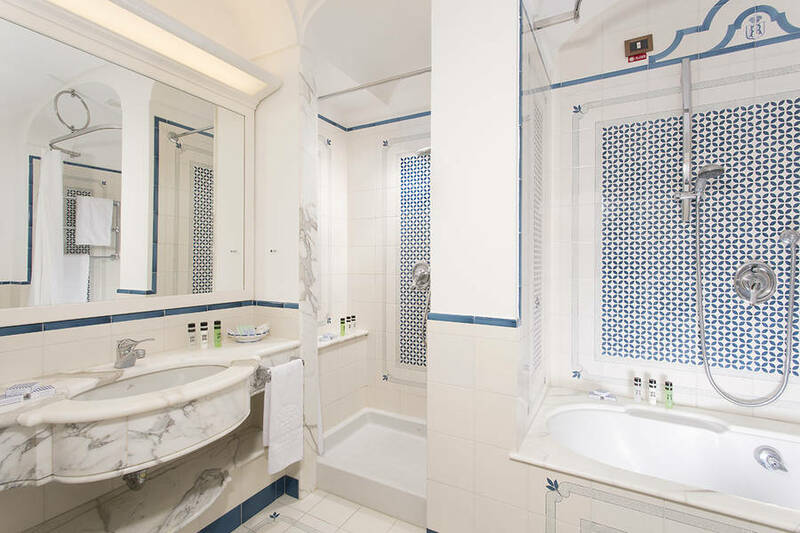 The public rooms of the Grand Hotel Royal, with sweeping marble staircases and crystal chandeliers, are furnished with comfortable sofas, beautiful antiques, and items of intricately carved wooden furniture. 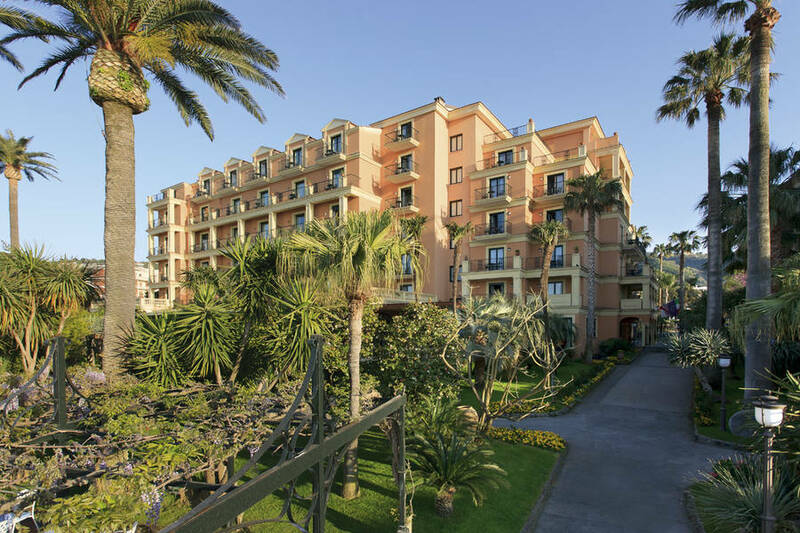 The elegant Restaurant "Le Relais" serves excellent Mediterranean cuisine. 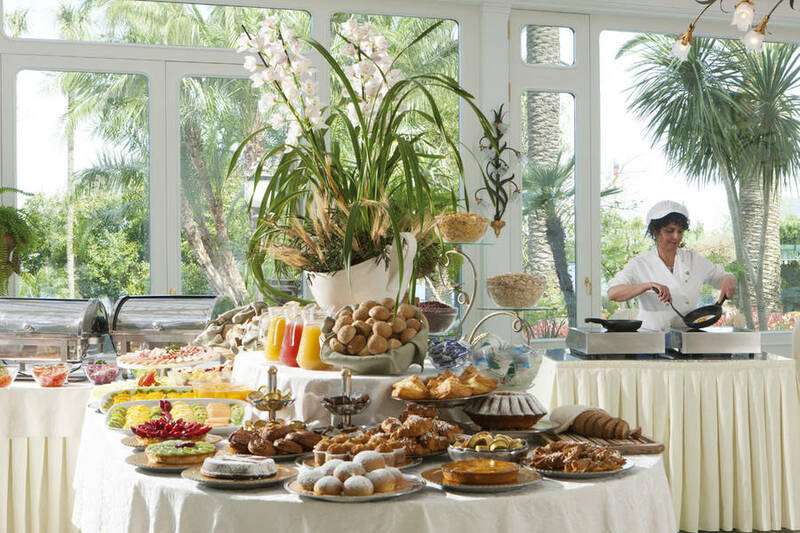 Menus feature both local and international specialities, prepared by the hotel's talented Chefs. 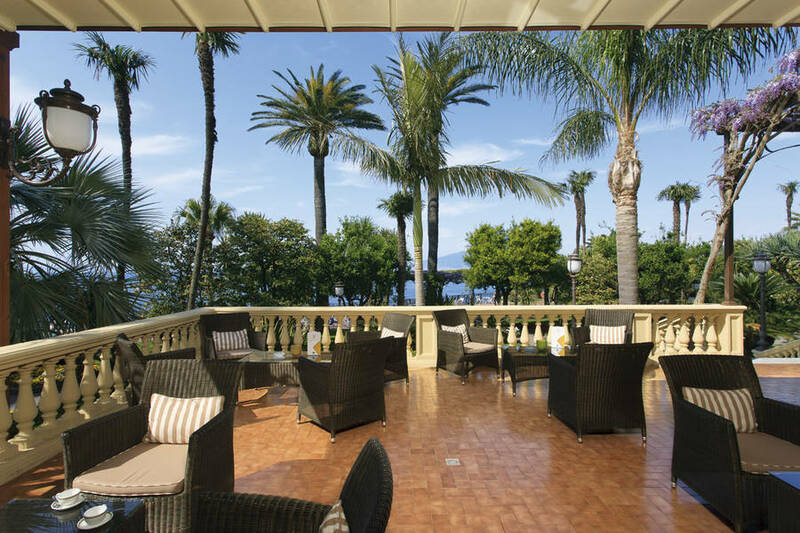 The superlative wine list proposes a selection of the very best local and international vintages. 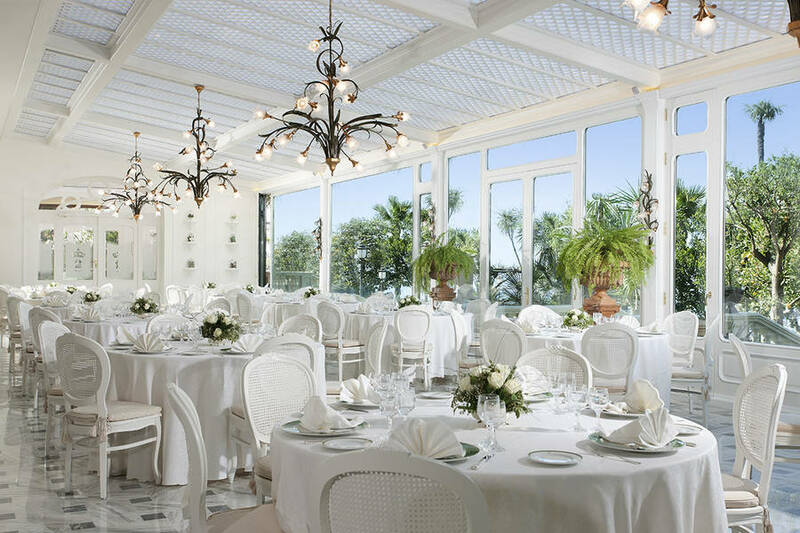 The "Glicini" Room, adjoining the main dining room, affords stunning views of the gardens and sea and provides a delightful panoramic venue where to host wedding receptions and gala dinners. 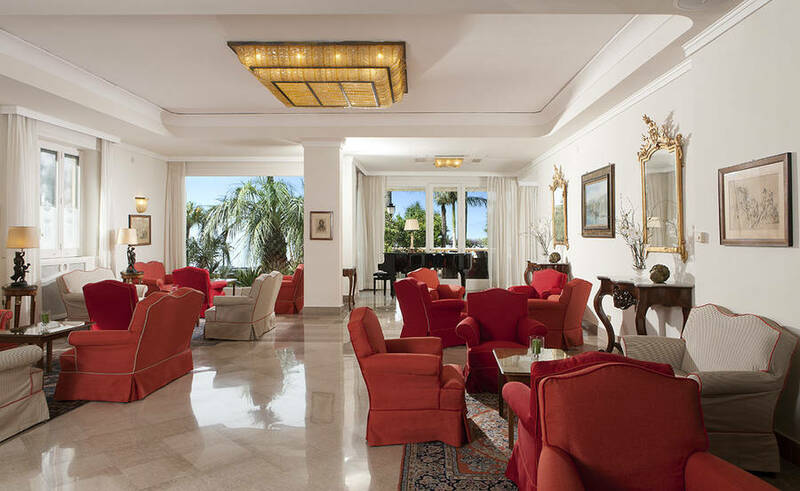 In the "Caprice" Lounge Bar afternoon tea, aperitifs, and a selection of after dinner drinks are available. 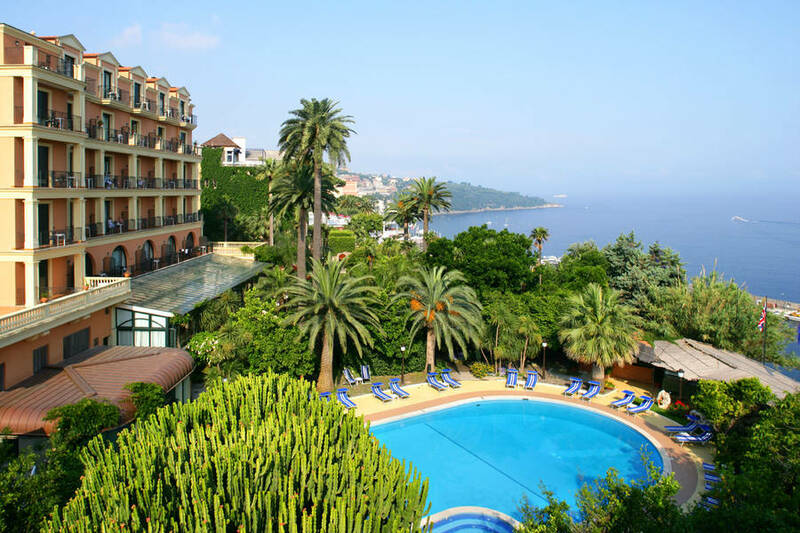 The Restaurant & Snack Bar "La Terrasse", is located close to the hotel's swimming pool, overlooking the sea. 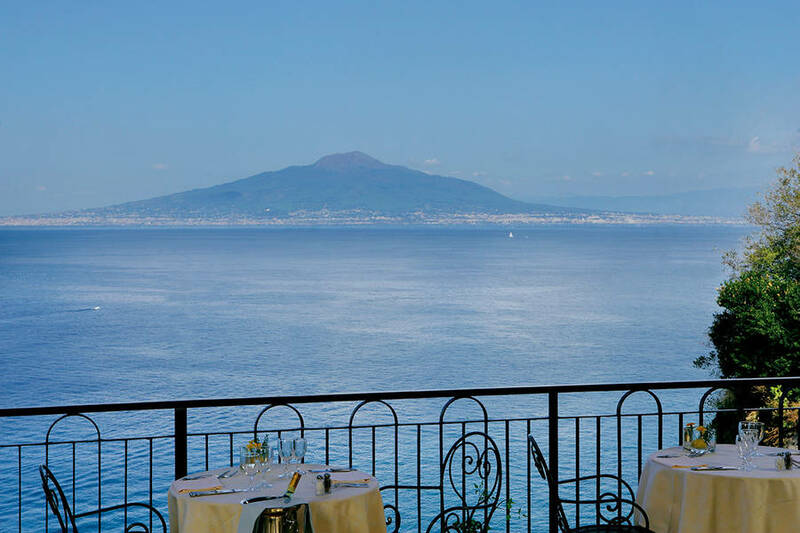 At lunch time, delicious Neapolitan pizza, fish and grilled meat are served, accompanied by fresh salads. 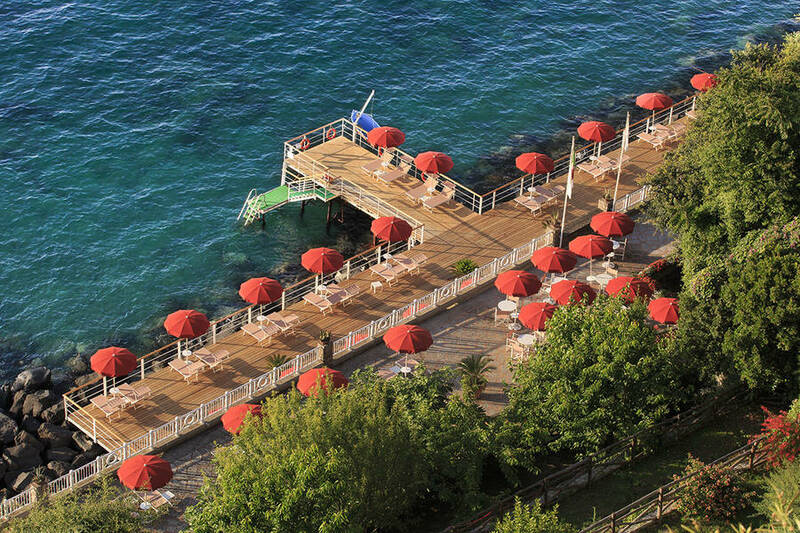 On the hotel's private jetty, the Snack-Bar "La Marine" serves drinks and tasty appetizers, right on the sea edge. 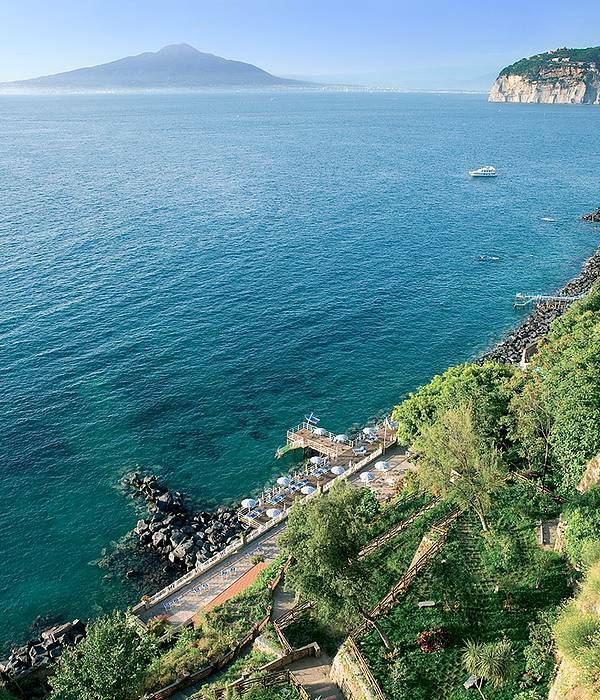 The hotel has a charming private beach where to enjoy the sun, take a dip in the sea or embark on a boat trip along the Sorrentine coast or across the waters to the island of Capri. 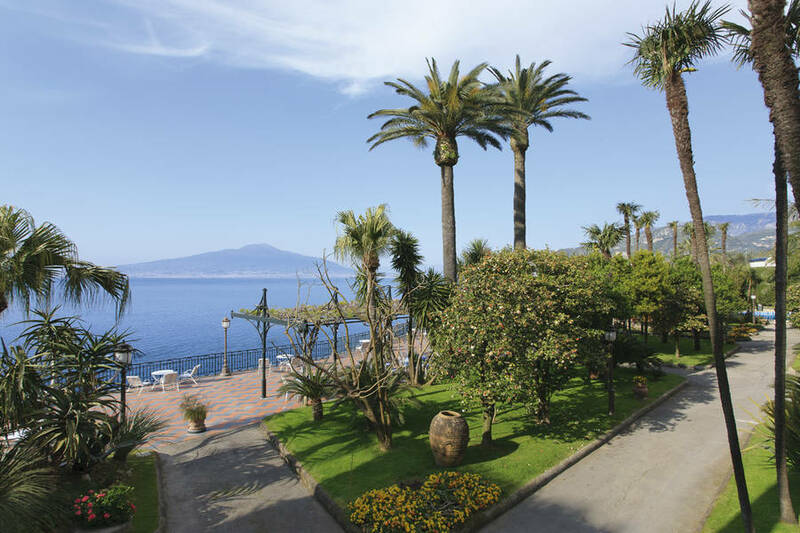 A traditional Sorrentine villa overlooking the Bay of Naples. 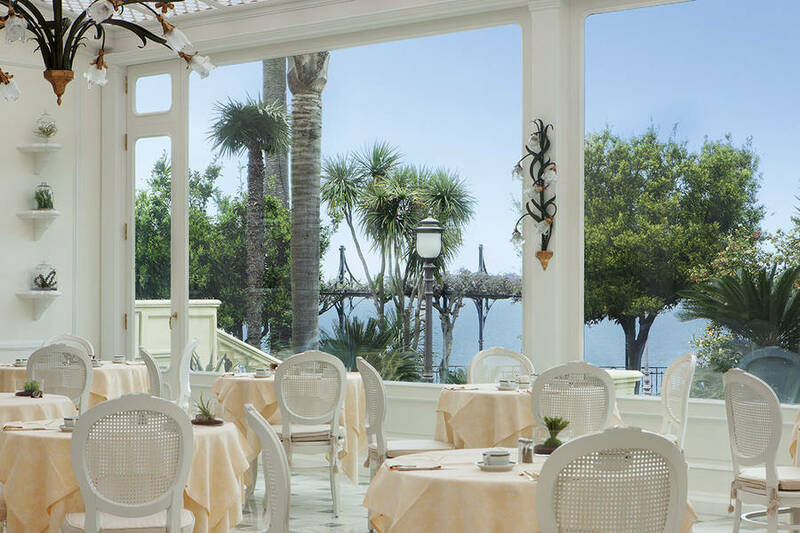 The exquisite Mediterranean cuisine served in the "Relais" restaurant. 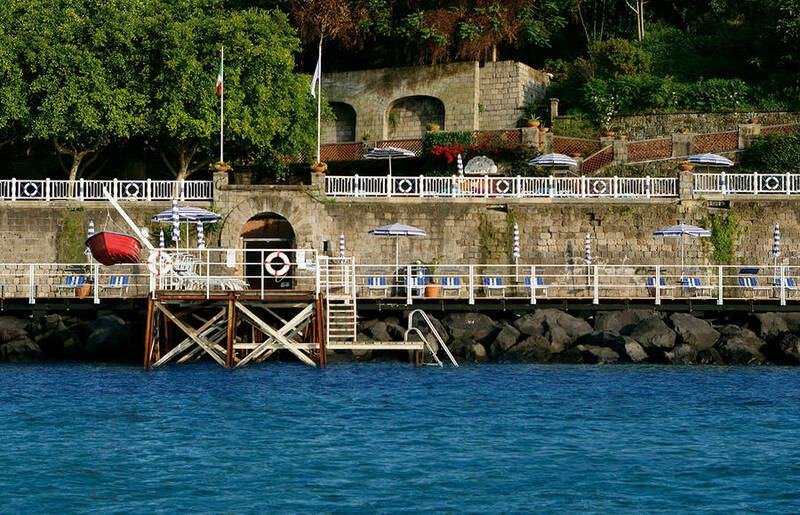 The private beach and sea-edge snack bar. In the last 30 days 17 people have visited this page. 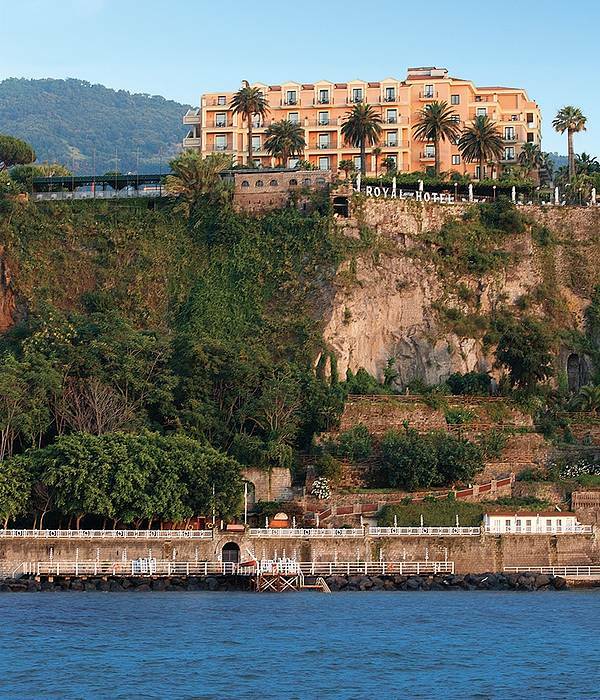 Grand Hotel Royal is located in Sorrento, perched directly above the sea on a rocky promontory from where sweeping views of the entire Gulf of Naples and the majestic form of Mount Vesuvius can be admired. 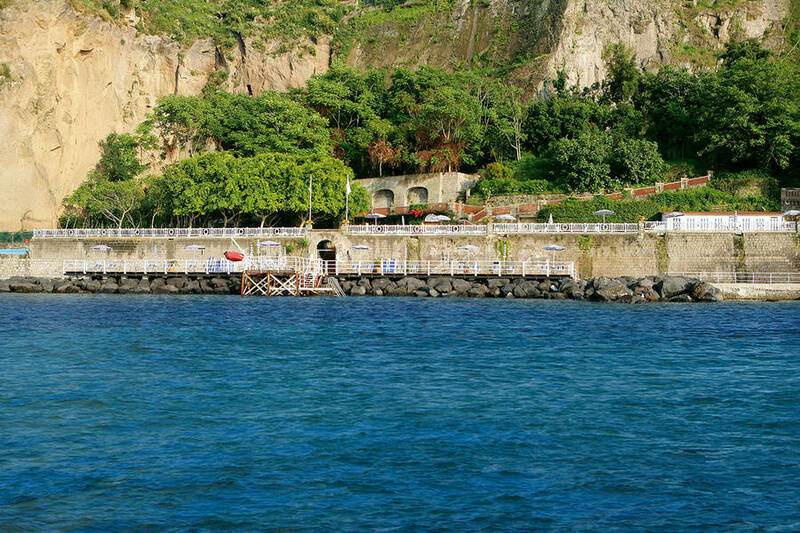 Those travelling by air will want to take flights landing at Naples' Capodichino Airport. 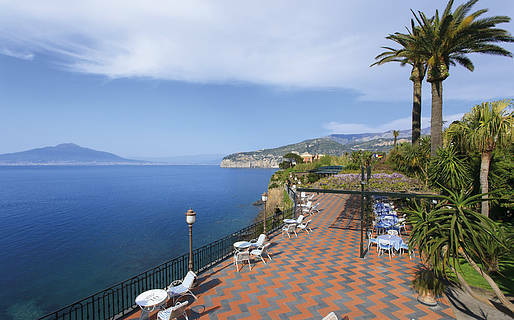 Guests choosing to journey by train should descend at Naples Central Station from where to board a Sorrento-bound train on the Circumvesuviana line. 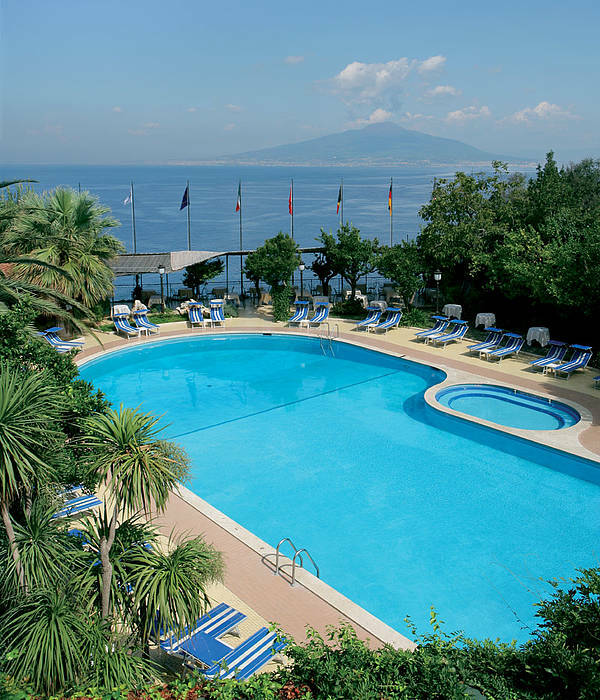 By car, the hotel is easily reached via the A3 Napoli-Salerno motorway, exiting at Castellammare di Stabia from where to follow indications to Sorrento. 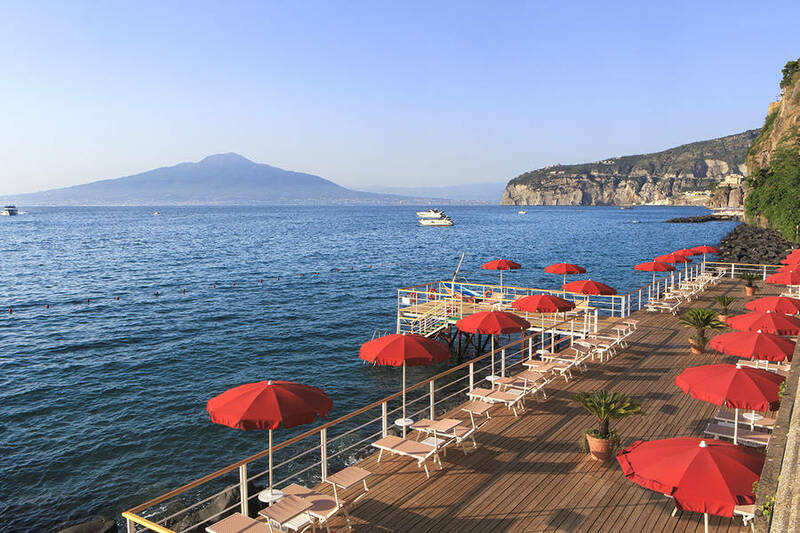 Sea connections link Sorrento to Naples, Capri, and Castellammare all year round. 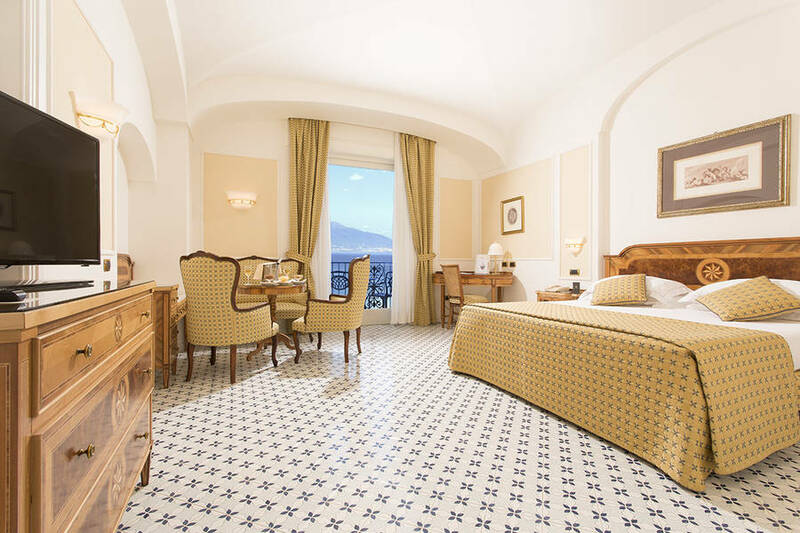 Whilst holidaying in Sorrento, visitors should not fail to take a trip along the nearby Amalfi Coast, to the islands of Capri, Ischia, and Procida, and to the fascinating archaeological site of Pompei.